Whenever I set up a new Mac, I have a routine. I start by following the usual setup steps in the OS X welcome screens, or installer, and then I download a set of essential utilities that I simply can’t work without. There are five of them; some of them I’ve used for years, and some I’ve only discovered recently, but these five must-have Mac utilities make my work much faster, smoother and more productive. The first app I install is Objective Development’s LaunchBar. This is the app that saves me the most time on my Mac, and the one that I need as soon as it’s running. LaunchBar is a launcher that lets you keep your hands on the keyboard, instead of rooting around in windows and folders. It indexes apps, preference panes, contacts, files and more; to launch one of them, you press a keyboard shortcut to display LaunchBar’s “bar,” then type a few letters. For example, to launch Safari, I type SAF, then press Return, and Safari opens. LaunchBar also has search templates. To do a quick Google search, instead of switching to Safari, clicking in the address bar and typing, I invoke LaunchBar, type GG, press Return, type my keywords, then press Return again to send the search to Safari. This is just a taste of what the app can do, but its possibilities are limitless. 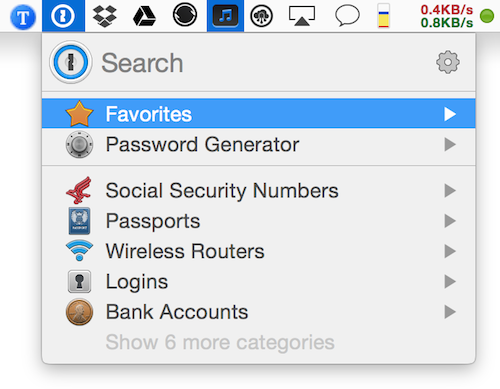 1Password has browser extensions, so I can quickly log into web sites from Safari, Chrome or Firefox, and its menu extra gives you quick access to all your passwords and other data without even opening the application. I’ve got certain files that I want to be able to access from all my Macs, and on my iOS devices; the best way to do that is to use Dropbox. For example, that’s what lets me sync my 1Password data between my Macs and my iOS devices. But I use Dropbox to store plenty of files. It holds my work files, so I can switch between working on my iMac and my MacBook Pro; photos that I want available on various devices; and notes that I want to be able to access on my Mac and my iOS devices. 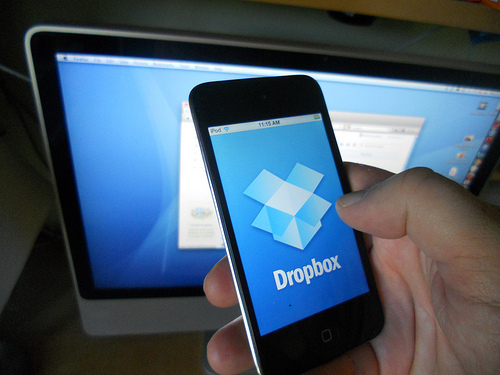 Dropbox has software for Mac, Windows, Linux, iOS, Android, and even BlackBerry and Kindle Fire. You can get a free 2 GB account with Dropbox, but for $10 a month you get 1 TB of storage; fill it with photos, music, videos and more. It’s easy to use, and very reliable. The next timesaving utility I install is Smile’s TextExpander. It does one thing, but does it very well: you set up “snippets” of text, and invoke them by typing a few letters. For example, you may need to type your address from time to time in emails; I use myad for that. When I type those letters, and press Return, TextExpander replaces them with my full address. You can set up snippets for code (I have some for HTML for when I’m writing blog posts), special characters (why not set some up for characters like ©, ®, ¥ or for others that are hard to type? ), and names you type often. I set up clippings when I’m working on a project with a specific name and need to type it often. 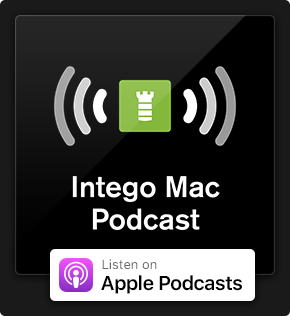 For example, when writing about iTunes 12, I have a clipping that expands i2 into that name. And I even have one that replaces iWatch with  Watch, because I can never remember how to type that  character. 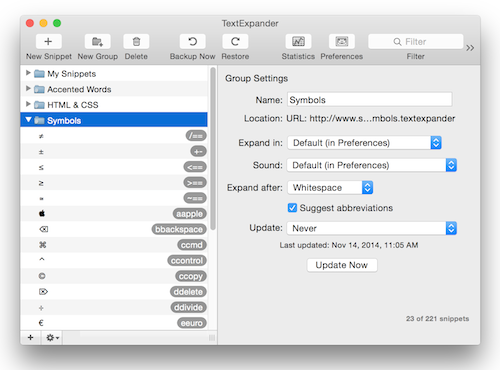 TextExpander also includes a number of pre-defined groups of snippets, for things like HTML and CSS, accented words (so it can replace resume by résumé), and commonly used symbols. Finally, there’s an essential tool I use to keep an eye on how my Mac is running: Bjango’s iStat Menus. 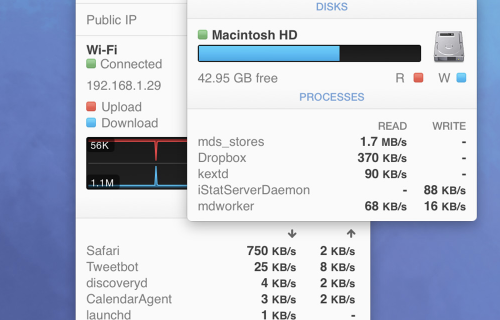 This utility puts a number of menu extras in my menu bar, showing me things like network upload and download speeds, RAM usage, processor activity and more. The Battery tool gives much more information than Apple’s default menu extra, and the Date & Time tool shows the date in an icon, and, when I click it, shows me world clocks so I can check what time it is where some of my friends and colleagues live. A Disks menu extra lets you quickly spot when your hard drives are getting full. It’s highly customizable, and you can either have multiple menu extras, one for each type of data, or a single, combined view. 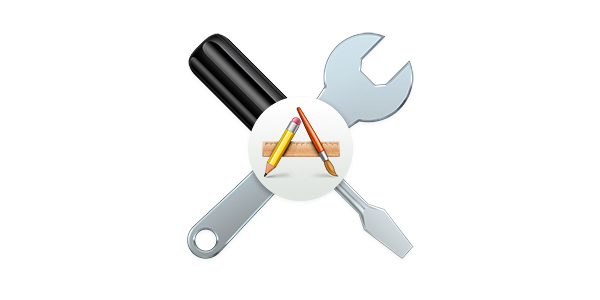 Without further ado, go and check out some of these Mac utilities. You may find that they save you a lot of time, and make working with your Mac a lot easier. You may even, like me, find that you can’t work without them. 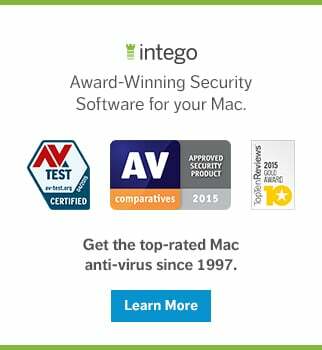 Own a Mac-based small business? Get started today with Flextivity's productivity tools for Mac to help you manage your company's application use and website access policies. This entry was posted in Apple, Recommended, Software & Apps and tagged 1Password, Dropbox, iStat Menus, LaunchBar, Mac, OS X, productivity, TextExpander, utilities. Bookmark the permalink. What, no Default Folder?! Shame on you. Love 1 Password & Launchbar. TextExpander on the desktop is not the same as TextExpander on an iOS device. In fact, the App Store has an old patch of rev 3+ for iOS, when in fact rev 4 is the correct latest version for about 2 years now & is entirely unavailable on the App Store because it does not meet the sandbox requirements to be included there. (Though 3+ can be had via iTunes shopping). But this is about the Desktop. This disconnect on iOS is a shame, since the app is most of all useful on a small format iOS device & really is a good idea! Would be nice to have this resolved. I would include Little Snitch in that “good idea” category as well. And one of several available window resize/snap apps that allow hotspots on a desktop (‘borrowed’ by Microsoft a few years ago for Win 7). Hi! Thanks for the list! I didn’t know Launchbar; seems to be very handy. I recommend to add BetterTouchTools to the list. It’s the first I install on a new Macbook or any Mac with Trackpad, includes window snapping. If you have a lot of menu icons, Bartender is the choice to get organized. Furthermore, Boom is a must have on MacBooks to get better ans louder sound. f.lux for relaxed eyes in the evening and Lightshot for screenshots.